Whenever photographers click product photos, it is expected that only the object in question remains highlighted and nothing else. But since certain situations are not always suitable for taking good quality photos which might look blown-up in certain conditions, a certain amount of image tracing is therefore needed to focus on the object under consideration. This is especially true for marketing materials which need to be free of all distracting backgrounds and other surrounding objects. We at Outsource2india understand this requirement very well and provide excellent image tracing services to clients from different verticals and domains. Our team of photo editors specializes in providing neat and clean image tracing services. We create raster graphics of almost any kind of file format using our image tracing methods, while ensuring speedy delivery and high-quality finished images. Why Do You Need Image Tracing? While uploading objects and product images on your website, you expect them to look professional with proper cropping around the edges and even highlights all around. Irrespective of the image or objects in the photograph, the image needs to be cropped with accuracy and be appealing to the viewers. Hand cropping can be difficult at times and there are chances that important details are lost while performing hand cropping of photographs. As a result, image tracing always works best for such endeavors. We at Outsource2india use some of the latest tools and technologies to perform our quality image tracing services. 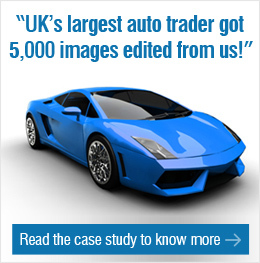 The traced images are then placed on the relevant background of your choice. We use the latest licensed software to carry out the required image tracing, the end product of which are flawless images which can then be used on your branding or marketing material. Why Choose O2I for Image Tracing Services? Outsource2india has been an image tracing provider and has been providing a range of other photo editing services to clients around the globe for over 20 years now. Our experience of having worked with clients from different backgrounds and domains helps us understand businesses and their business models and provide the required services accordingly. Our cost-effective solutions have helped companies to reduce in-house image tracing costs and hence increase revenues. If you have any kind of image tracing service requirement, feel free to get in touch with us or talk to one of our representatives, and we will get back to you within 24 hours.